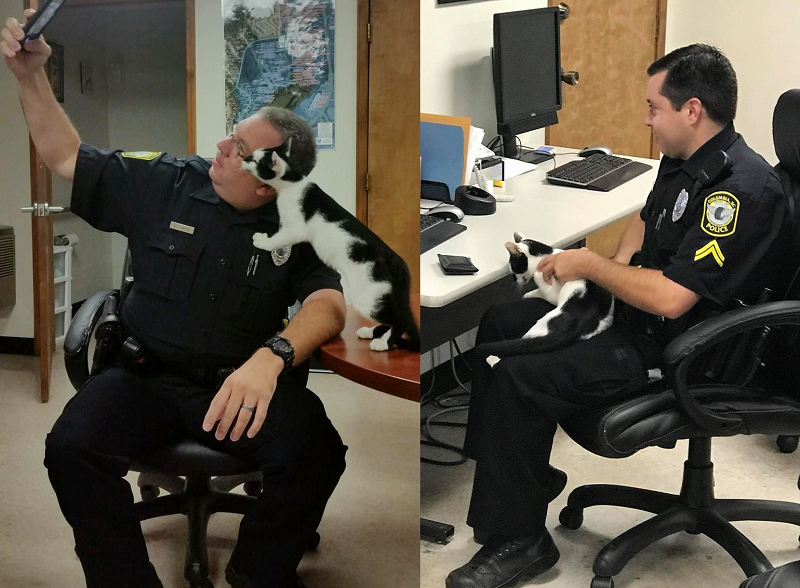 Police Apprehend Stray Cat And Take Adorable Selfies Before Finding His Forever Home! 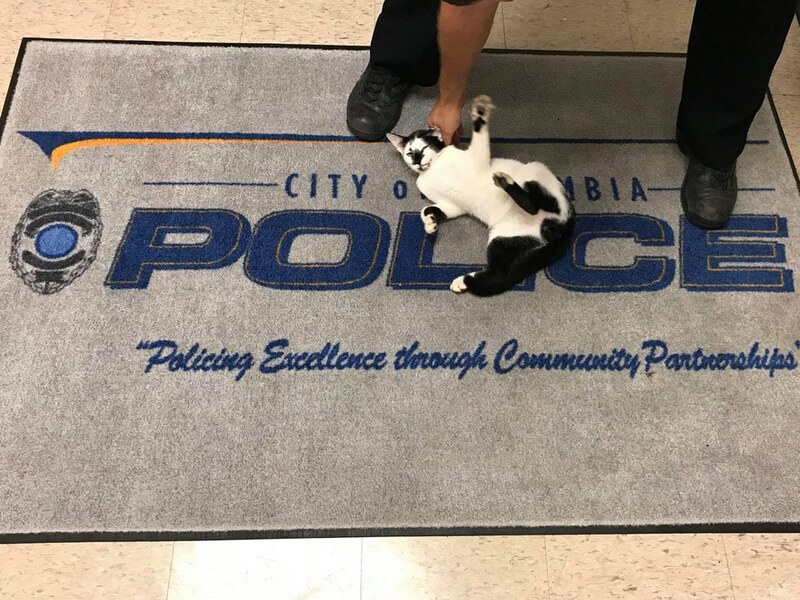 For one black and white cat, the afternoon took and exciting turn when he made his way into the Columbia Police Department and demanded belly rubs. Officers on duty were more than happy to help a kitty in need! They didn’t kick him out and allowed him to explore their offices, accepting cuddles and head scratches as he pounced on their shoes and jumped onto their desks. This furry feline stopped by CPD West Region to say we were posting too many dog pictures and needed to show cats some love also,” they wrote on Facebook. The kitty was all too happy to pose for pictures! They aren’t quite sure how the cat got into the building, but they weren’t mad about it. After posing for selfies and “helping” with paperwork, the officers took the cat to a local vet to scan for a microchip. They named him Kingsley, but they weren’t able to find any information on him. While the cat couldn’t live there, one of the officers did offer to give Kingsley a loving home! Officer Montgomery decided to bring Kingsley home, where he got along with his other pets and fit right in with his new furry siblings. Two felines and a friendly dog now call Kingsley their brother, and the cuddly family couldn’t be happier!